Note: At the time of writing this blog (Aug 7th, 2018) Yosemite National Park is closed due to the Ferguson wildfire. Thousands of tourists have been evacuated and two firefighters have died. My thoughts & prayers go out to the family, friends and colleagues of the firefighters. 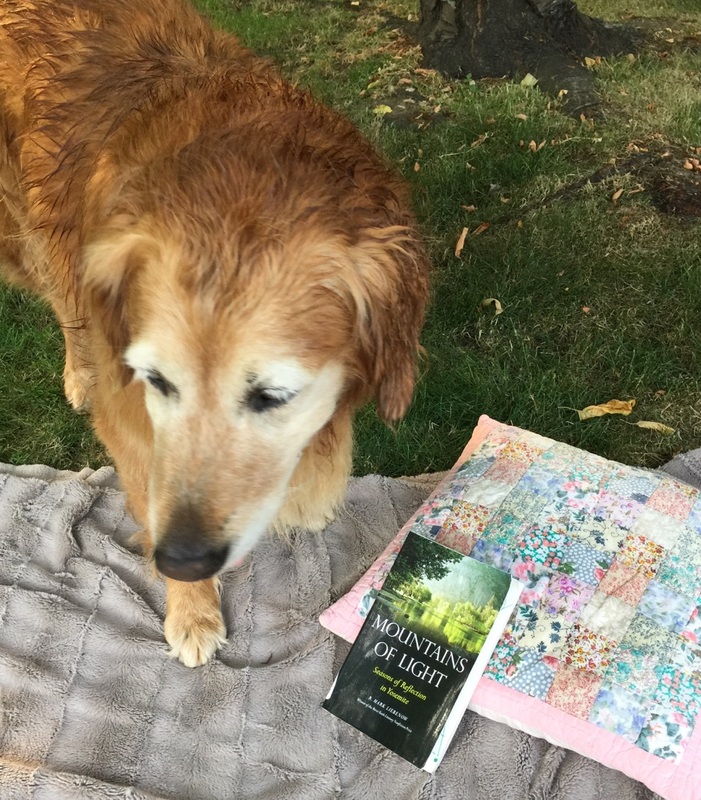 Looking for a late-summer read? 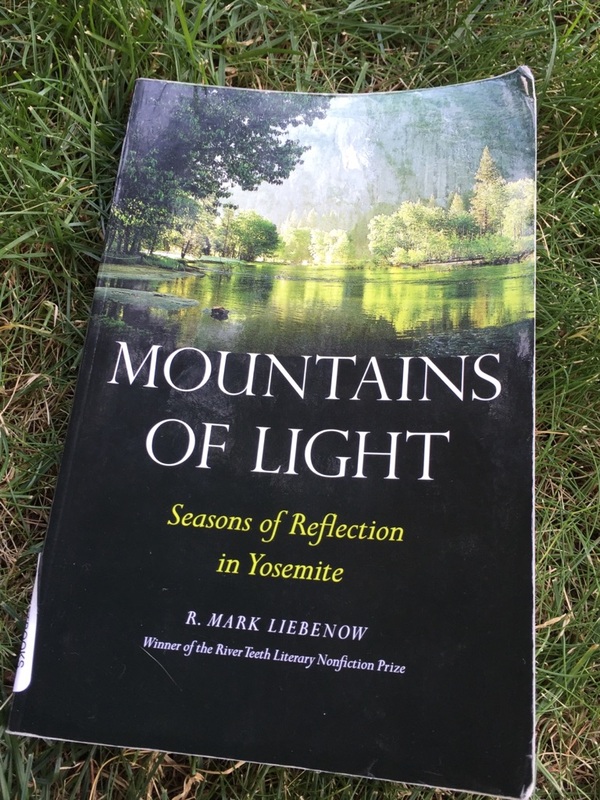 I recently finished Mark Liebenow’s beautiful book, Mountains of Light; Seasons of Reflection in Yosemite. I have always wanted to visit Yosemite National Park. After reading Mark’s book, now I really want to go! This non-fiction read is about Mark’s journey of coming to terms with the death of his wife, Evelyn. It is in nature – through repeated visits at different times of the year to Yosemite – where Mark finds peace with his wife’s passing. This makes sense. In my experience, spending time in nature and/or with animals seem to be able to soothe chaotic thoughts and emotional turmoil like nothing else. Another observation that struck me about Mark’s book was the significant difference between how he chose to share his grief, through his story, and how I shared my experience with grief in my book, A Widow’s Awakening. I’m not sure whether this is a gender thing or not i.e. do women tend to be more open than men about sharing the details of their emotional journey? In A Widow’s Awakening, I yank the lid right off Pandora’s Box of Grief and let it ALL out: the devastation, the hurt, the hatred, self-pity, anger, jealousy, bitterness…the confusing thoughts, conflicting emotions and spiritual isolation. To be honest, I haven’t read that many books about grief, so I found Mark’s candid but subtle journey intriguing. There was definitely a sense of inner struggle as he tried to come to peace with his wife’s passing but it was rather enlightening to read a personal memoir by an author who I suspect is an extremely private person. The depth of his loss and subsequent sorrow is immense; how he chose to communicate that loss to his reader was very different to my approach. For everyone grieves differently. And different authors approach the same subject matter in their own unique way. And yet, despite our differences – as people, as writers – we are still able to find the common threads of love, loss, passion and peace. On a less personal but equally important note, I read Mountains of Light while writing the next draft of my screenplay, God’s Country, about Canadian-born silent screen star, Nell Shipman. Nell’s story is very much about her love of the natural world and wild animals. Mountains of Light was the perfect book to be reading while working on this script. I think we sometimes lose sight of how much wisdom the wilderness holds. And what we lose sight of, we risk losing. I highly recommend reading this beautiful book. 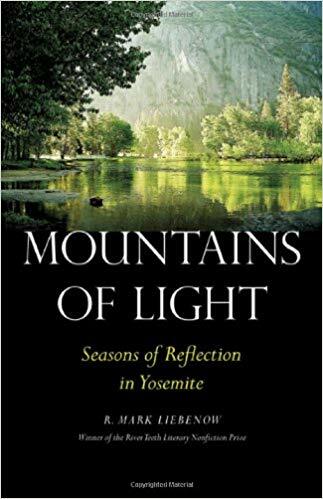 If you would like chance to win a copy, please send us an e-mail by Aug 15th, with the subject line, “Mountains of Light,” and your name will be entered into the draw. *Contest open to WWOW (Weekly Words of Wisdom) subscribers only. If you’re not a subscriber but would like to be 🙂 here is the link to sign up. Please visit BHC Press to pre-order. Thank you, Mark, for sharing that background. It is SO difficult to know, isn’t it, what material should go in what book? I think Mountains of Light is exquisite, so from a reader’s perspective, you made the right decision. But I do very much look forward to reading your memoir on grief when it comes out. Yes I want to go to Yosemite too!! Solo road trip!!! But when there are no wildfires! No kidding! The wild fires are brutal…in California AND here in BC. Very scary.